Welcome back for the March jewelry reveal. 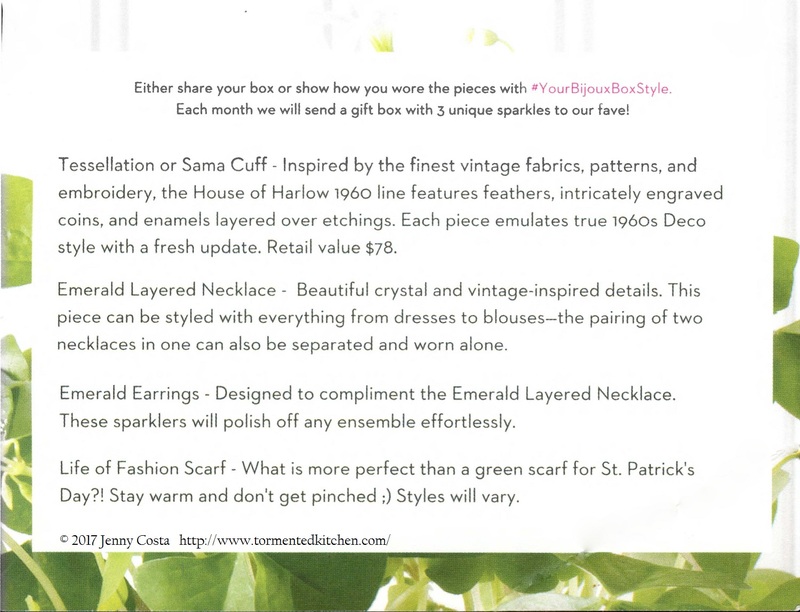 This month had a theme of beautiful deep emerald green, inspired by St. Patrick's Day. The first item, which was previously revealed in one of the sneak peeks, was a cuff bracelet by House of Harlow. 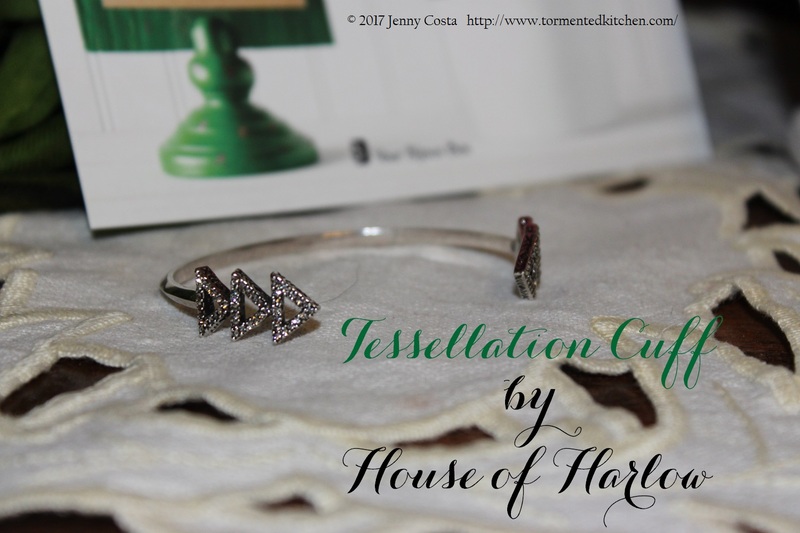 I received the Tessellation Cuff with the stacked triangle design. 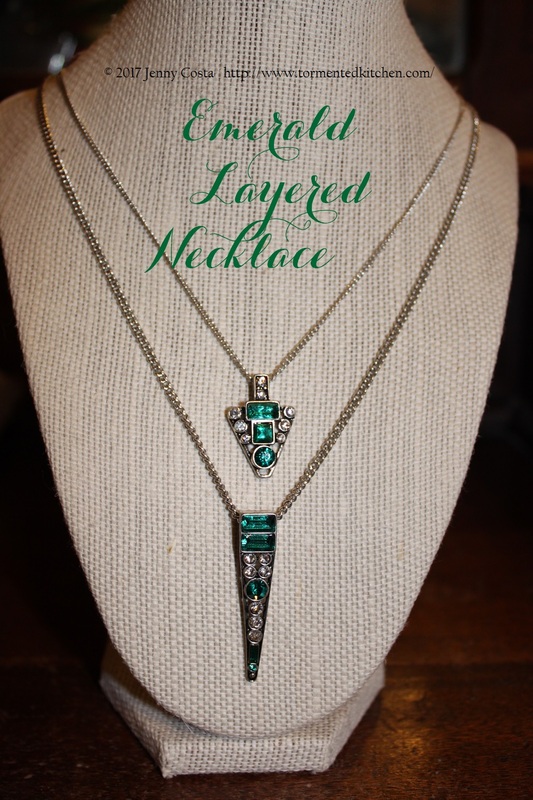 If you look back to the June 2016 box, you might recognize this next design. 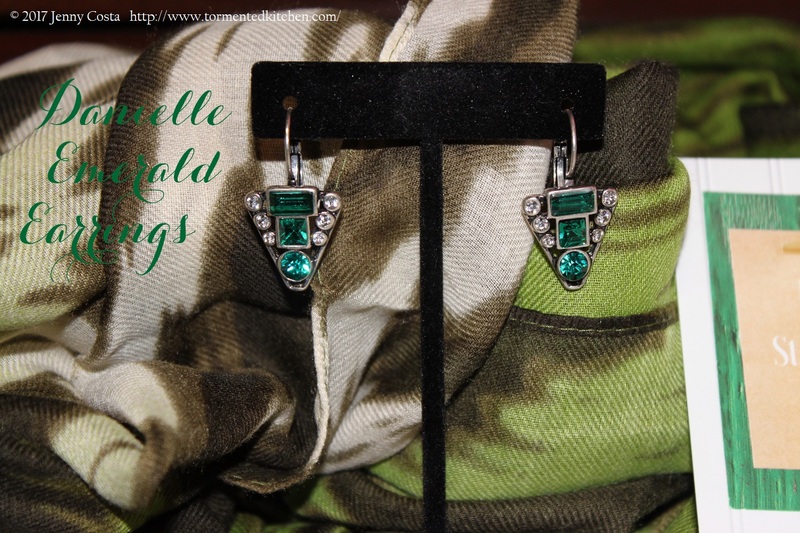 They brought back the Danielle Vintage pattern, but this time in gorgeous emerald green. 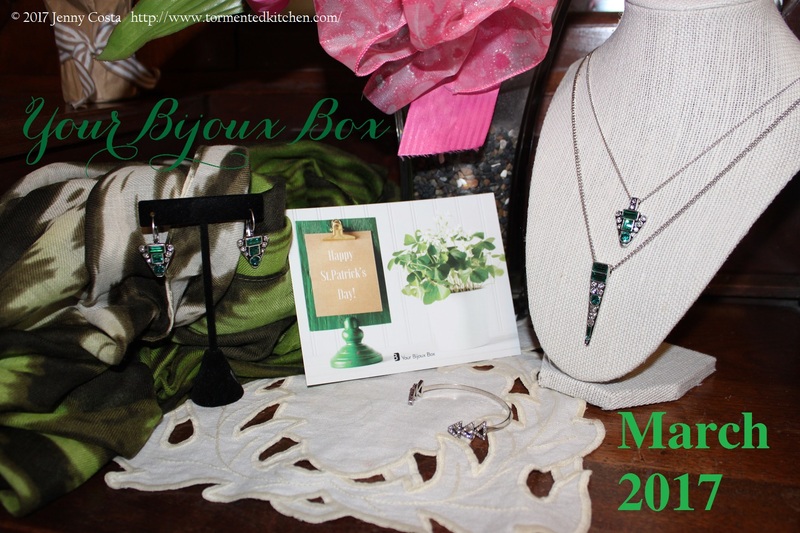 This box included a set of earrings and a double strand layered necklace. Lastly, everyone received a scarf by Life of Fashion. 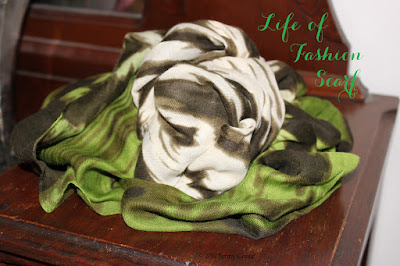 My scarf is an infinity scarf in a zebra-ish faded stripe with cream and pea-green. I already wore this and received tons of compliments.